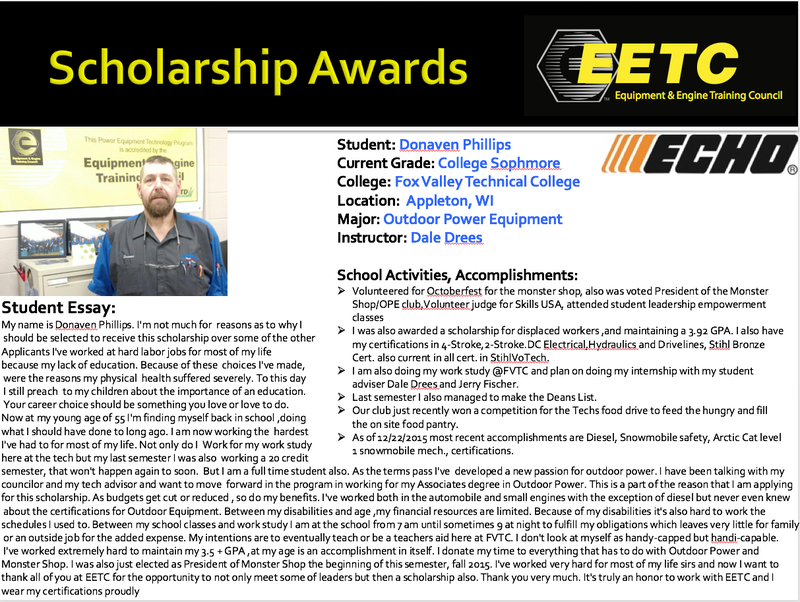 These scholarships are given in memory and in tribute to Paul H. Scholten, (1940 - 2002) a founding member of the Equipment & Engine Training Council, its Past President, and a fervent advocate for excellence in power equipment service and repair. 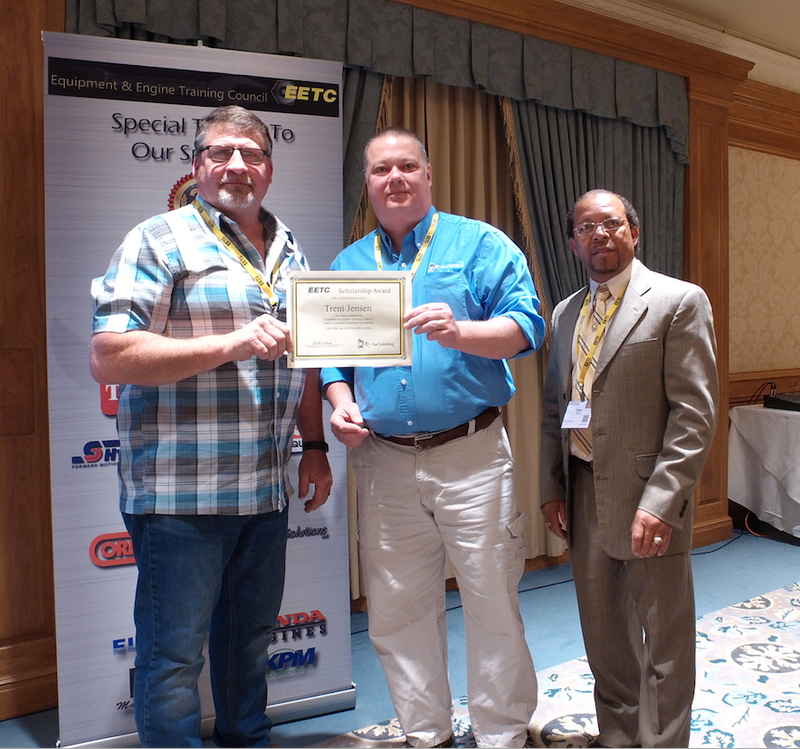 Even before he helped to organize the EETC, Paul had been actively involved with technician certification and school accreditation and he was instrumental in the development of the four-cycle certification test. 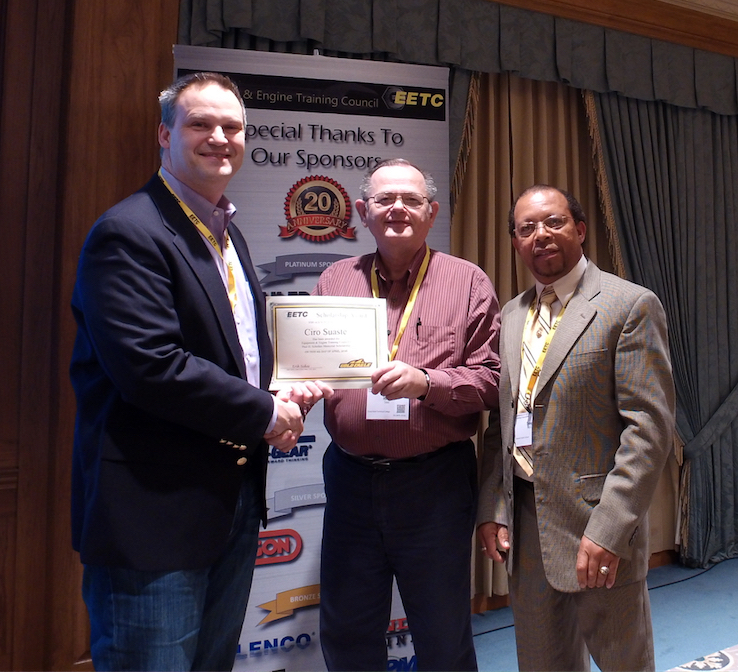 Paul Scholten spent his entire professional career with the Kohler Company Engine Division. 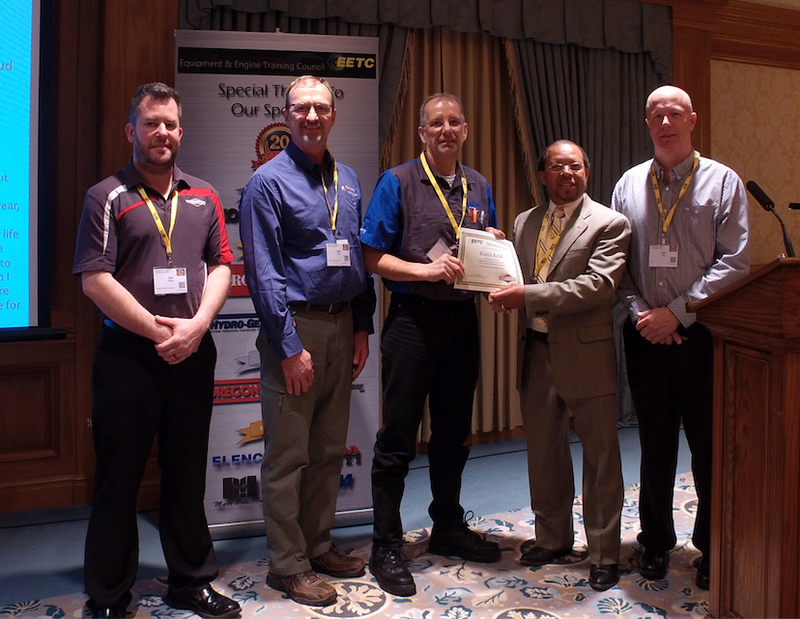 He retired from Kohler in 2001 as Manager of Engine Service and Technical Publications and served as a consultant to the industry following his retirement. 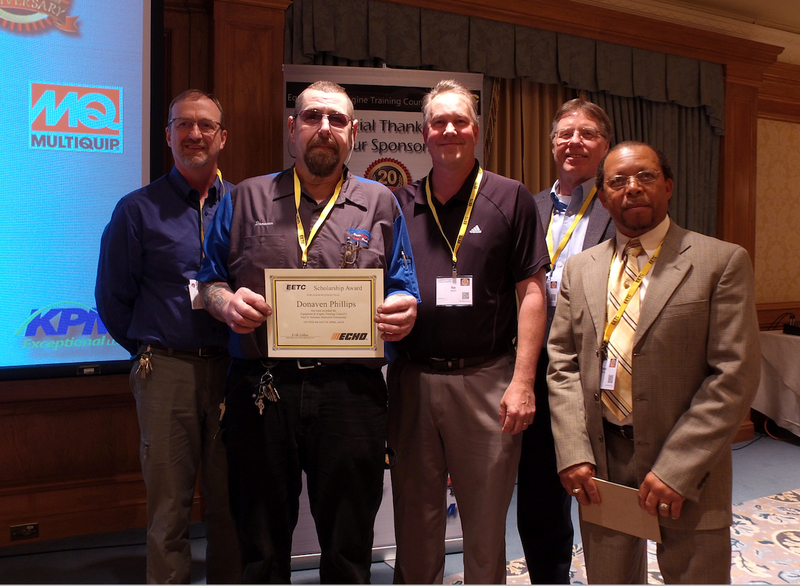 He was a leader and mentor to many of his colleagues; he was very active in his community and in his church. 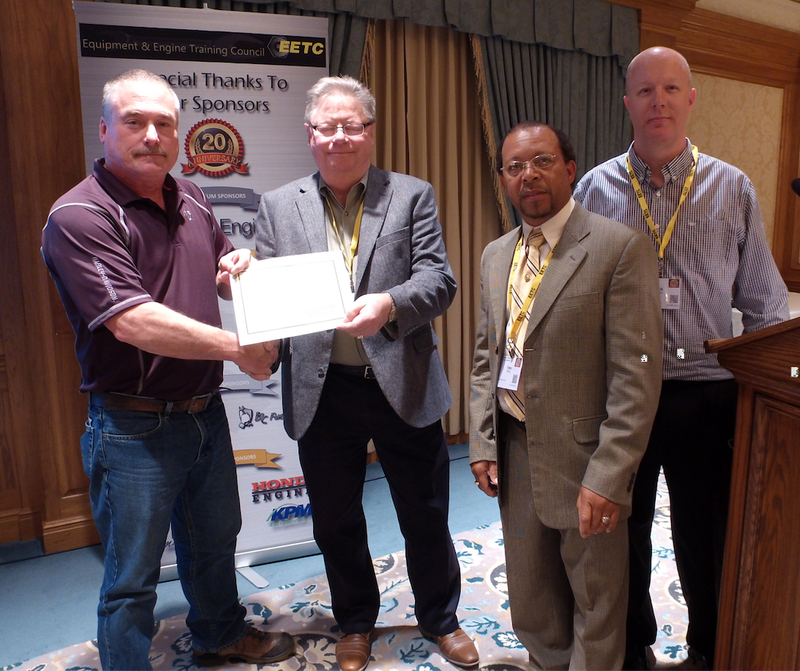 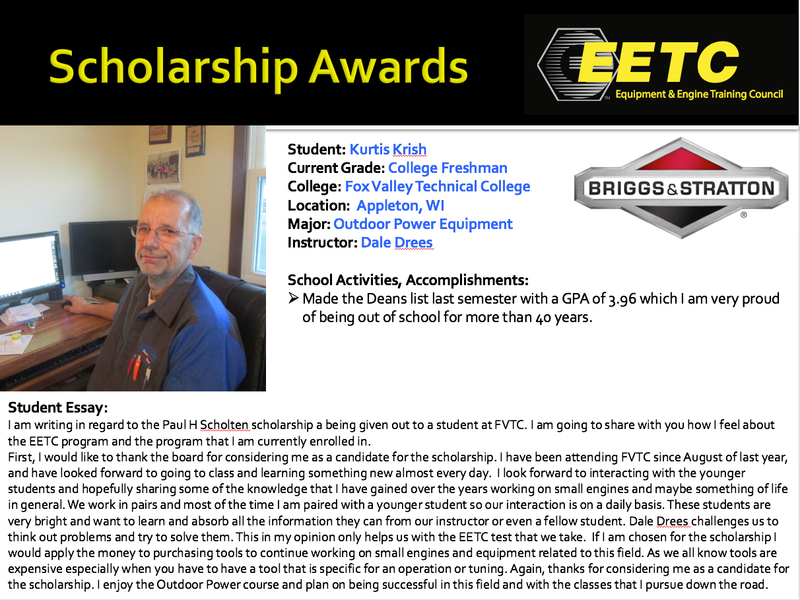 The EETC dedicates these scholarships to Paul in the hope that young people entering the power equipment industry will regard him as a role model for excellence in all of their life’s endeavors. 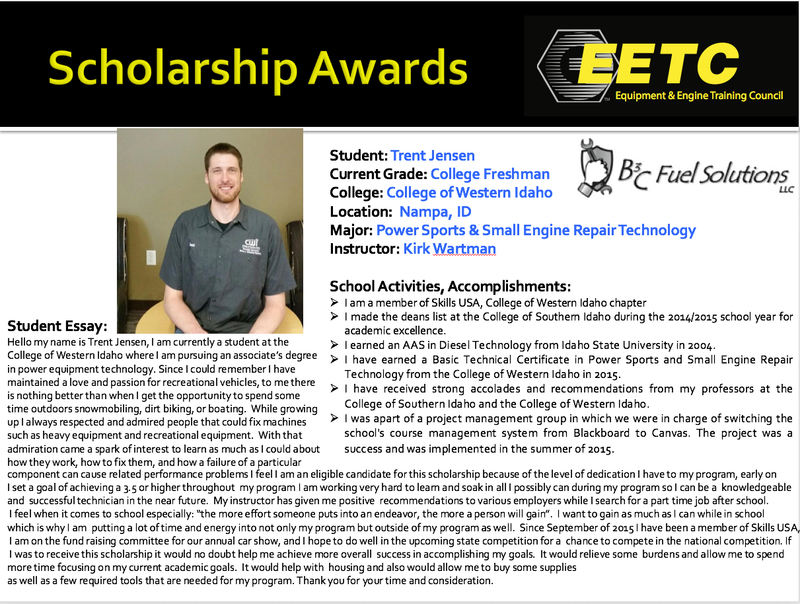 For the 2018 school year, 6 scholarships of $1000 each will be awarded. 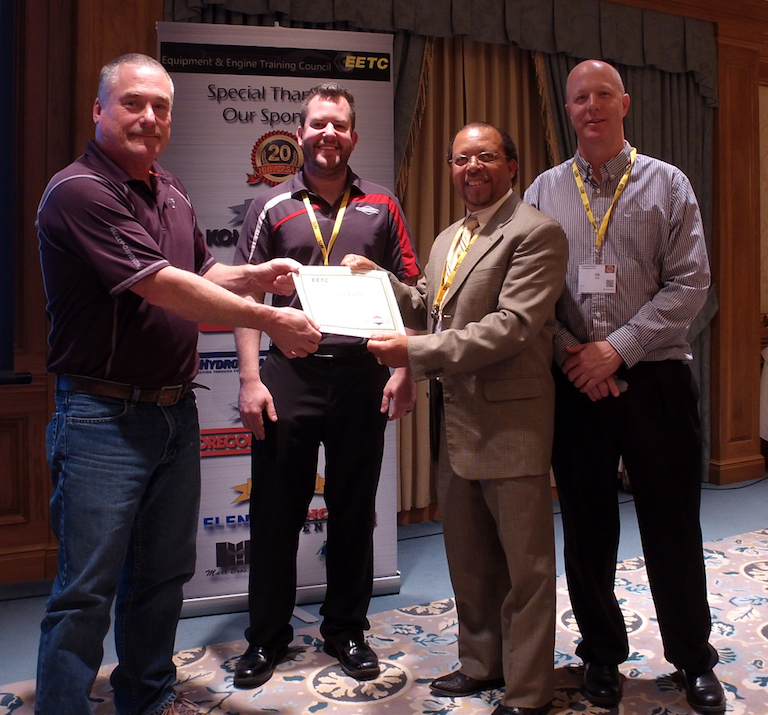 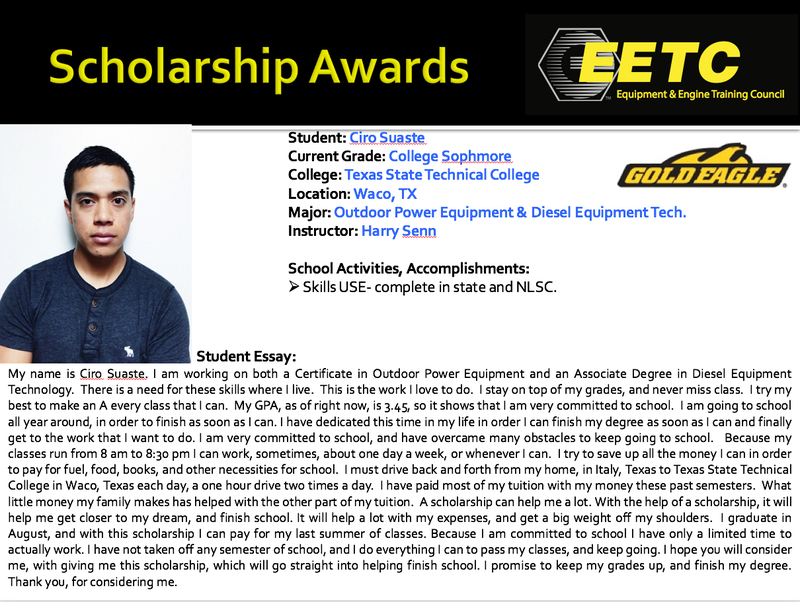 We would like to thank ECHO Inc., Gold Eagle, OPEESA, Almon Inc., B3C Fuels, and Briggs & Stratton for their generous scholarship donations, without support from the OPE Industry the EETC scholarship program would not be possible. 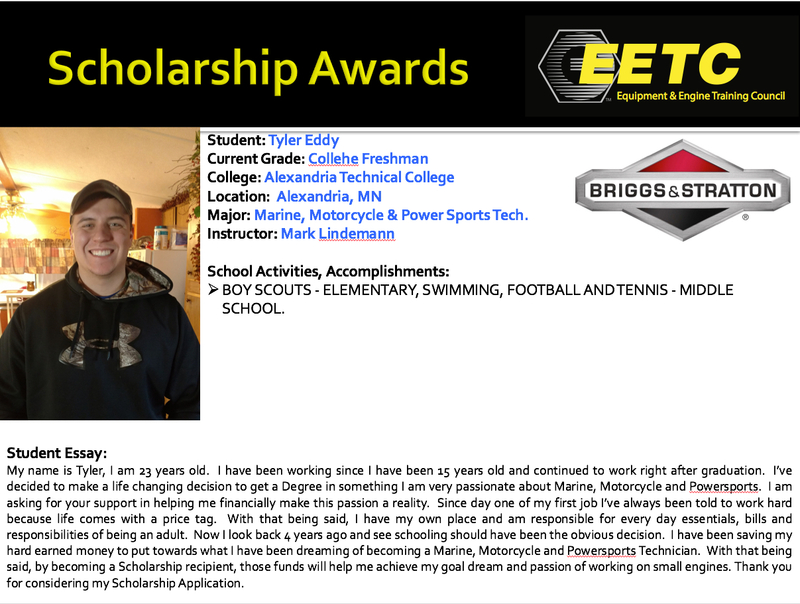 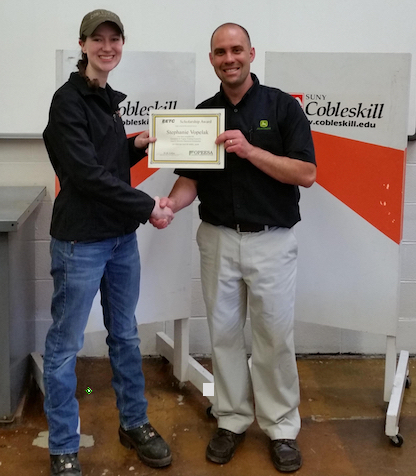 Each of the seven scholarship recipients received $1000 towards their college expenses in a OPE Technician Program. 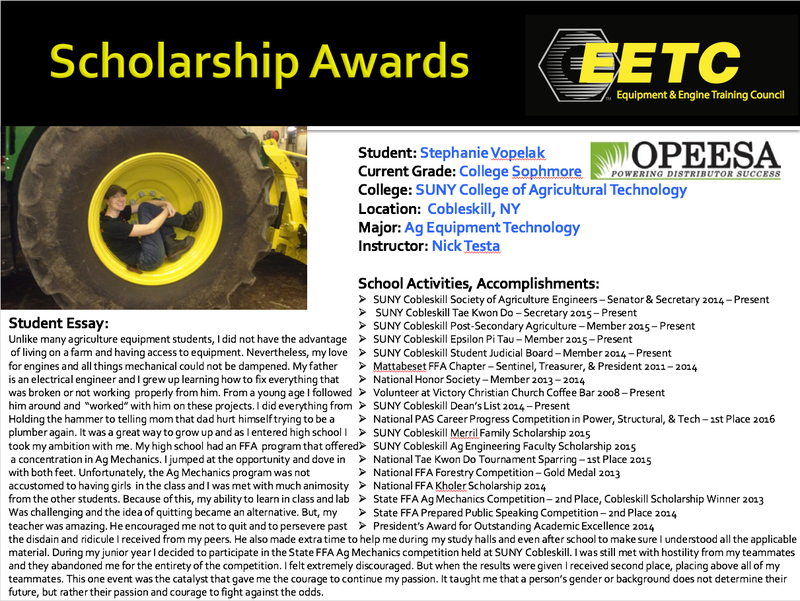 We wish the best of luck to Kurtis, Donaven, Ciro, Matthew, Stephanie, Tyler and Trent.